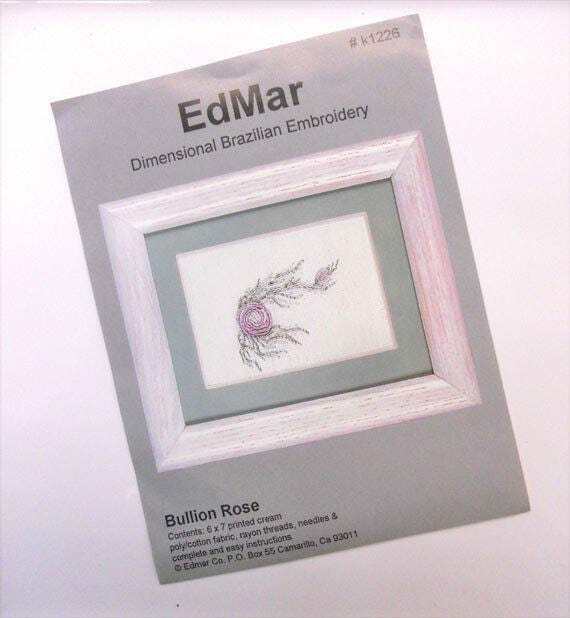 This little project is the perfect starter project for someone who is interested in the Art of Brazilian Embroidery. It features 1 lavender bullion rose and 1 rose bud. 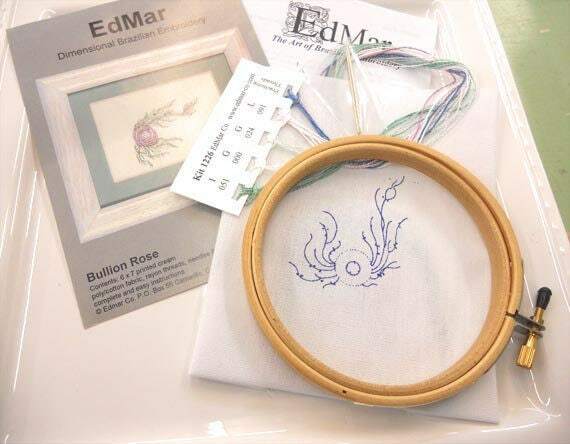 we are offering this little kit with a 4 inch wooden hoop if you'd like to make it into hoop art.